The carrier market is undergoing a massive upgrade in capacity to meet customer demands and expectations in today's interactive electronic media-rich environment. Learn how to improve your productivity and cut weeks off of your FPGA development time with the SOPC Builder tool. This seminar discusses some of the common payload power management functions in an AMC (Advanced Mezzanine Card), and examines a traditional payload power management solution and its shortcomings. 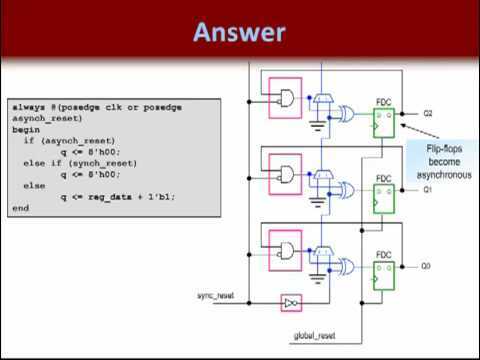 These video's talks about how to use the Xilinx's FPGA Editor (which is bundled with ISE tools). The video is informative and goes over the basic step. Thanks to elibillauer for putting it together. What is a FPGA? Watch this 4-min whiteboard video to get a brief introduction to FPGAs, and learn about some of the benefits and applications. A great video by the NI guys. It is short but sweet.